Are you a Queensland School Student? If so, you may be able to complete in the in the Royal Life Saving School Life Saving Championships as an individual or a team. 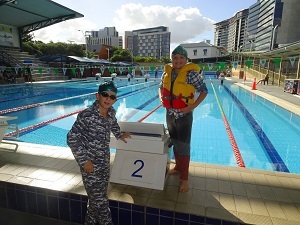 Events are based on Royal Life Saving Swim & Survive Program which is the only National Swimming, Water Safety program mapped to the national water safety framework and is supported by the Queensland Government, Department of Education. Sunday 28 April 2019 at Somerville House Aquatic Centre (8am to 4pm). 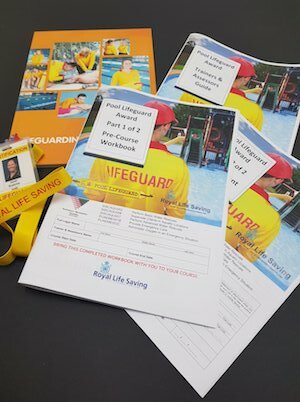 Its time to book your Pool Lifeguard re-accreditation. All Pool Lifeguard re-accreditation's successfully completed with us include HLTAID001 provide cardiopulmonary resuscitation (CPR). Have a look at the link below for a course convenient to you, or we can come to your facility to run tailored courses that are designed around your facility and the skills of your staff. Royal Life Saving Queensland in the oldest life saving society in Queensland and the aquatic industry peak body. GoodSAM is the world's most advanced emergency alerting and dispatching platform. GoodSAM is set up to work with ambulance and pre-hospital services to enable qualified bystanders to provide life saving care in emergencies. The app enables those with a Royal Life Saving First Aid certificate to register on the app and help the community. GoodSAM is also the world's largest public AED Registry, and have also launched the world’s first mobile AED tracking system. 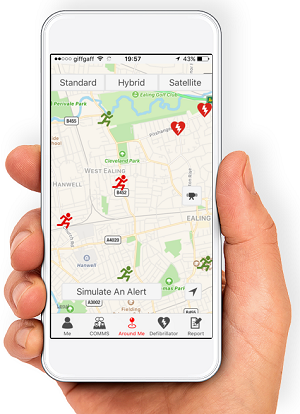 The app allows alerters to dial the emergency services, and at the same time notify nearby qualified responders (including those with a First Aid certificate) of a medical emergency. By alerting responders of an emergency, GoodSAM connects those in need with those who have the skills to provide critical help before the emergency services arrive. Royal Life Saving Queensland is the first Queensland organisation to register with GoodSAM. Holders of a current Royal Life Saving Queensland First Aid certificate are able to register as a responder on the app. Please consider downloading the app and registering as an Alerter or Responder. Click here for more information. Download our latest research information here. New research reveals about as many as one‐in‐six people who swim in rivers is under the influence of alcohol. A study conducted by RLSS and James Cook University surveyed locals and tourists at four river locations (one in Queensland). Researchers used a breathalyser to gauge if people were swimming under the influence of alcohol. A total of 684 people were surveyed and breathalysed across 16 days at the four research sites. Amy Peden (National Manager of Research and Policy) said the study found 16 percent (1 in 6) of swimmers recorded a positive blood alcohol content (BAC) and seven percent were over the legal driving limit. Media Release - One in Six. In the past decade, 1,995 men have drowned. Men are four times more likely to drown than women, with males accounting for 80% of all drowning deaths. A culture of risk taking behaviour among men can be dangerous around water, and when combined with alcohol and/or drugs it is often fatal. Almost a quarter (24%) of male drowning deaths involved alcohol alone. Of the men who had been drinking and subsequently drowned, 67% would have failed a random breath test with a recorded a blood alcohol content above 0.05%. Stand up to your mates if they suggest swimming or taking out a boat under the influence of drugs or alcohol. "Woah, easy there. Where do you think you're going? Not in your state mate." Challenge your mates to a round of ping pong, watch your favourite sport on the tele, or take a good ol' nap. Is your school registered for the Swim and Survive program? Did you know the Swim and Survive program is essentially free of charge? We provide partners free lesson plans, certificates and support to deliver the swim and survive program. Your school can register to deliver the swim and survive program here. You can also get free resources here. You can register for the workshop or express interest in future workshops here. Have more questions, why not contact us. Please download our February 2019 Newsletter. We are looking for a facility manager to manage Burpengary Aquatics and grow Royal Life Saving in the region. Download a Position Description here. We are looking for trainers to join our professional training team and help us deliver quality training. We are seeking two casual trainers for immediate start. Download a Position Description here. Apply or express interest with Resume at this link. During the 2017/2018 year, the National Drowning Report 2018 indicates 249 people drowned in Australia Waterways. The Society's Annual Report for 2017-18 has been released. You can obtain a copy of the report at this link. Membership renewal is now due. If you are an existing member, please download a membership renewal form here, complete the form and send it back to us. New members, please use this form. Members of Queensland Lifeguard League, please complete this form. Has a staff member of the Society provided you excellent service? If so, please let us know by filling in this online form. If you wish to raise a concern please click here to fill out an online concern form.